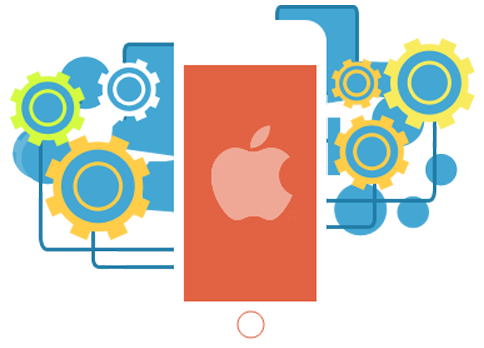 We are one of the best iOS app development company primarily based in Bangalore, India and UAE also provide best offshore development services to create stunning iOS apps from India.. The iOS (iPhone / iPad) App Store has touched a new milestone, it has over a million apps with billions of downloads as of 2016. Apple is an undoubted leader in the mobile sector, which has made app development as an industry itself. Today, there are apps for everything. Every business needs an iPhone and an iPad app. Everything that Apple does has a huge impact on business and lives of the people. The iOS7 saw the biggest upgrade, the world has ever seen and Apple till datehave paid billions of dollars to app developers. After establishing a proven team of iPhone App Developers at Bangalore, the IT hub of India, WondersMind has set up a state-of-the-art iPhone App Development Company in the heart of United states-San Francisco Bay Area. This center focuses on supporting the UAE and Indian based clients with client engagement, sales, product management, UX/UI, application development, QA, deployment and a complete delivery cycle. Together UAE and Bangalore, India offices comes together to deliver the best products for our customers globally. iOS 11 Introduced ARKit that is a new framework that can be used to develop unparalleled augmented reality experiences for iPhone and iPad. One of the most advanced features in iOS 11 is Apple Pay Cash that will make it easy for users to send or receive money. Technically, Apple Pay Cash is considered as the part of Apple Pay, but it is obtainable in Apple’s iMessage app. Now, making more intelligent and smart applications becomes easy with CoreML that is a new foundational machine learning framework. It can be used across Apple products like Camera, Siri and QuickType. Currently, a lot of solutions are obtainable to ensure that users can instantly get answers to their queries. That includes some knowledge bases like HelpScout or messaging platforms from Drift and Intercom.